This saree is quite comfortable to wear and easy to drape as well. 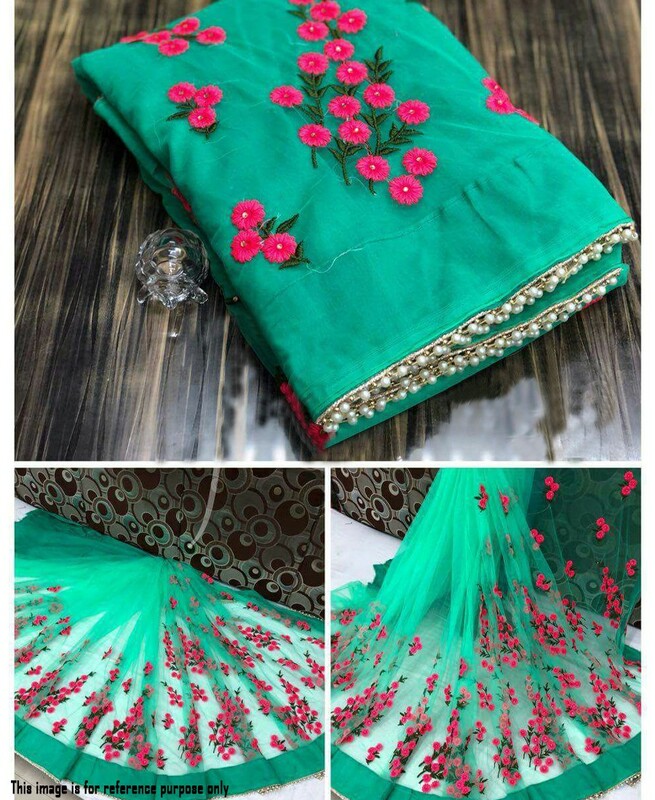 Green color soft mono net fabric saree with green color banglori silk blouse. It contained the work of embroidery , pearl work lace border and stone work. This un-stitch blouse can be customized up to bust size 42".